Casino Night 2016 was a success!  Looking for New Members! 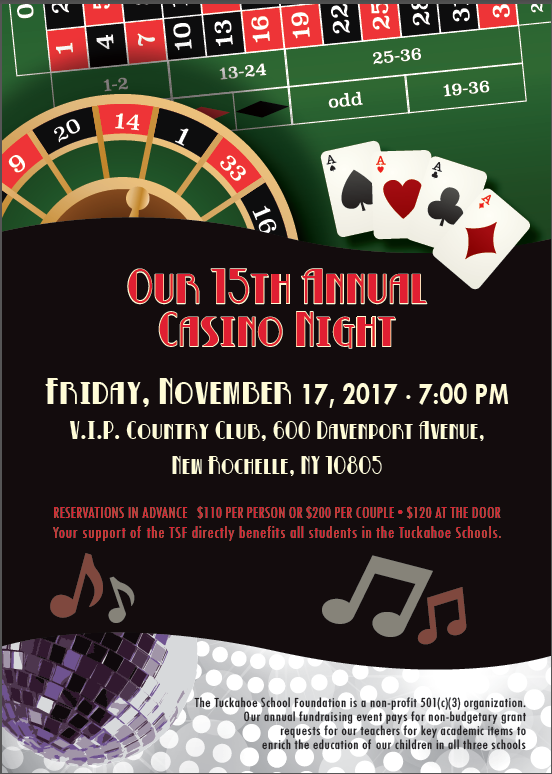 The Tuckahoe School Foundation is a non-profit 501(c)(3) organization.